If you want a good show, produce it yourself! 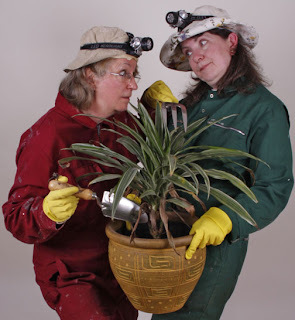 Two women from the Settle area decided to take matters into their own hands when they couldn't find any good comedy and drama for ladies of a certain age to perform. 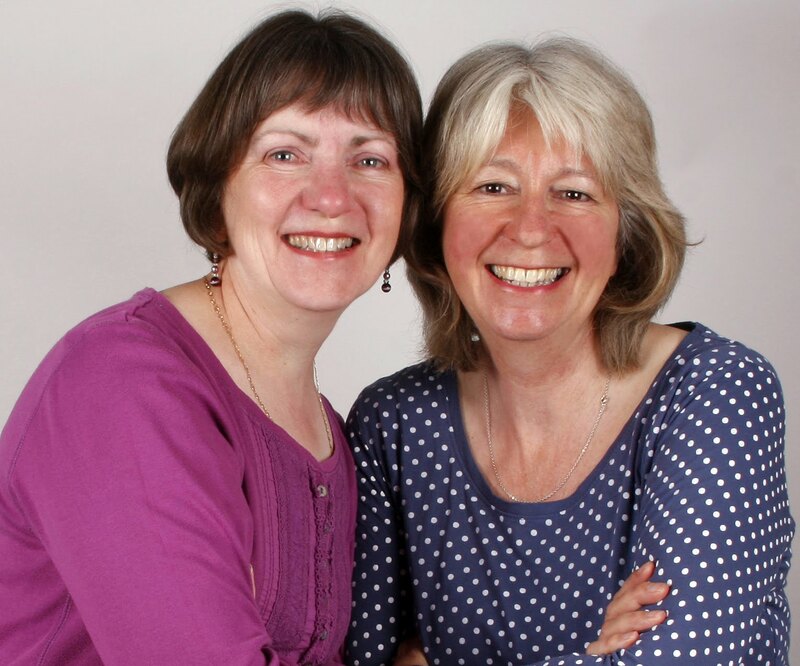 Christine Hooley and Veronica Caperon have written their own show "A Double Dose of Lippy Logic" which they will present at the Grassington Festival Fringe in June. 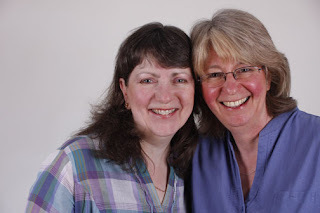 When not treading the boards, Christine runs the local village shop and Veronica is a professional photographer and copywriter. "We both really enjoy doing community theatre and we want to combine comedy with more dramatic roles. 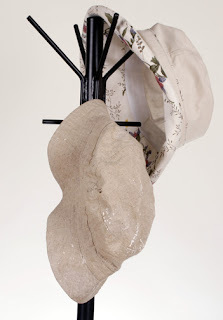 But it's difficult to find suitable things, so we've put our own together!" explained Christine. However, they have designed the programme to appeal to both men and women. "We've had a hoot preparing the material. While some of the subject matter is designed to have the audience laughing out loud, other sketches are more serious and moving" Veronica added. Some of the material is specially written for Grassington. The girls draw inspiration from everyday life: "There's a comedy sketch about our exploits as novice vegetable growers during last year's wettest ever summer. The audience can expect to come face to face with slugs and other gastropods with that one!" says Christine. In "Two Friends", there's a tense exchange between close friends when human frailties are unexpectedly exposed. Despite strenuous efforts to the contrary (by unnamed 'friends'! ), Veronica will do some of her poems! The trials and tribulations of caring for ageing parents are also tackled. Veronica explained: "Christine received critical acclaim last autumn when she performed a monologue written by myself. 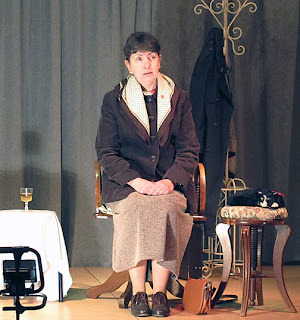 It's about a feisty fifty-something local government officer coping with her mother's increasing frailty and we're looking forward to taking it to a wider audience". The show is on Wednesday 26th June at 8pm at The Methodist Church in Grassington as part of the Fringe programme. Tickets (£6) are available from the Festival Box office (boxoffice@grassington-festival.org.uk, 01756 752691), as well as Crossleigh Stores in Austwick 015242 51415.